Hilariously relatable and sentimental cartoons that will pull at your heartstrings by invoking laughter and emotional connectedness; perfect for anyone who knows the challenges of expat living. 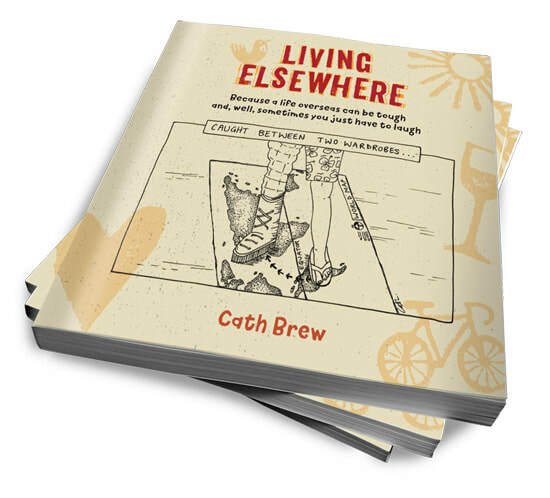 Sometimes poignant, sometimes hilarious but always familiar, Cath's evocative, thought-provoking drawings beautifully capture the realities of expatriate life. The perfect book for anyone who struggles to answer the question where are you from? Mobile life is full of ups and downs. It’s our ability to see the humour in those embarrassing, unknown and sometimes painful situations that makes our days a little bit lighter and helps to deal with whatever comes next.